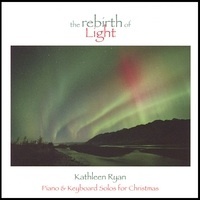 The Rebirth of Light is the 10th anniversary reissue of Kathleen Ryan’s wonderful collection of Christmas music that peacefully explores the spiritual dimension of the holiday season. Originally released in 1997, this new version includes additional material. 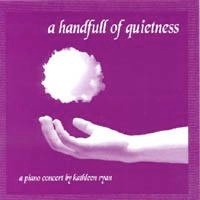 Most of the pieces were arranged for solo piano, but a few have keyboard instrumentation. The collection also features two original compositions. The CD sustains a really nice mood throughout, although some of the songs are joyful and exuberant, most are more subdued and reflective. Having been a piano teacher for more years than I care to admit, I often get very burned out on Christmas music, but I really like this album! The Rebirth of Light opens with the title track, a quiet, exploratory piece that sets the mood with lots of open spaces between the notes, and a very peaceful message. “Angels We Have Heard On High” opens with a series of piano trills that suggest fluttering wings. With an improvisatory section in the middle, this arrangement is quite unusual and very effective. “God Rest Ye Merry” dances for joy, twirling and leaping into the air - a great arrangement! “Somebody Talkin Bout Jesus” goes very dark for a beautiful and soulful rendition of this old spiritual. “Come All Ye Shepherds” is a lively keyboard arrangement that brings the good news. “That Single Star” is the second original piece, and is a lovely meditation. I love “I Wonder As I Wander,” a carol said to have come from Appalachia. 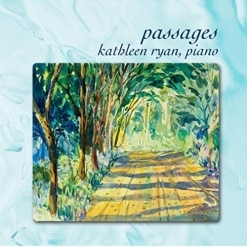 Ryan’s arrangement sticks to the melody, and really brings out the soulful nature of the song. “Usher In the Morning” is a keyboard medley of “Ermuntre Dich,” “I Saw Three Ships,” and “Good Christian Men, Rejoice.” Upbeat and lively, this is another toe-tapper that brings a big smile. “The Never-Ending Starlit Road” is a haunting solo piano arrangement of “We Three Kings of Orient Are” - one of the best I’ve heard. “The Coventry Carol” is another standout, overflowing with the beauty and tragedy of this ancient piece. “O Holy Night” and “Silent Night” are both stunning in their quiet passion and elegance. The Rebirth of Light will certainly make a return appearance to my CD player as we get closer to the holidays! For a reminder and a celebration of the true meaning of Christmas, this is a wonderful choice. 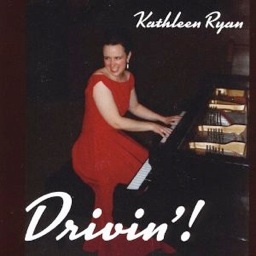 It is available from cdbaby.com and iTunes. Highly recommended!